Sephora has a new freebie offer! 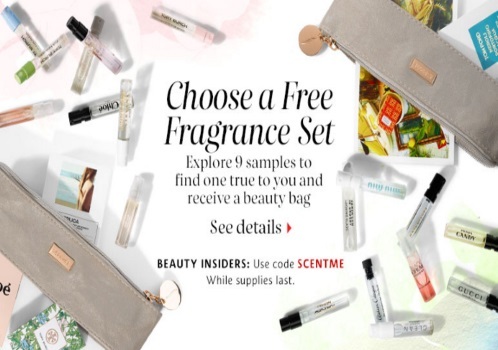 Get a Free Fragrance Set with 9 samples and a beauty bag with any purchase of $25 or more online. Enter the promo code SCENTME at checkout. Offer valid while quantities last. Click here to shop Sephora.